Ideal for use in entrances, classrooms, transition areas and more, this Cactus Mat Catalina standard-duty 1437M-G23 2' x 3' green carpet floor mat will trap dirt and moisture to protect your floors and enhance the safety of everyone who passes through your business! This entrance mat's fade-resistant olefin fiber material has the ability to hold more than 1 gallon of water per square yard and is vinyl-backed to prevent scratches and scuffs from appearing on your floor. This 5/16" thick mat can be used both indoors and outdoors to promote safety and reduce the risk of your employees or guests slipping on a wet walking surface. 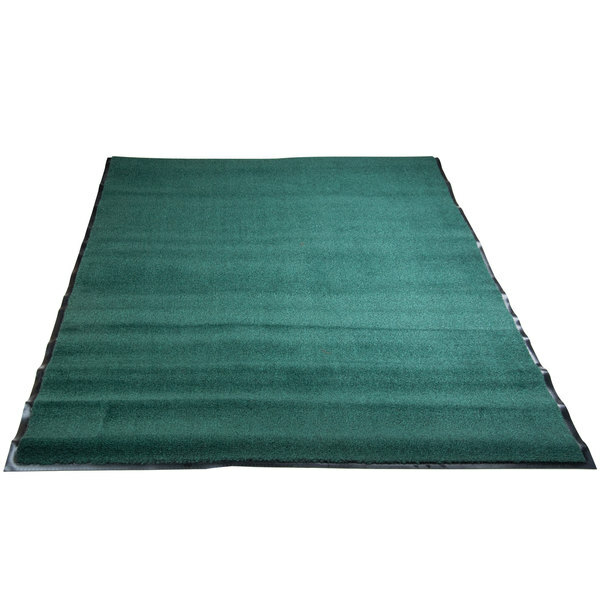 Lightweight and easy to clean with just a hose or vacuum, this green floor mat will also make your life easier when it's time to remove it for routine cleaning. This is a decent floor mat for the price. 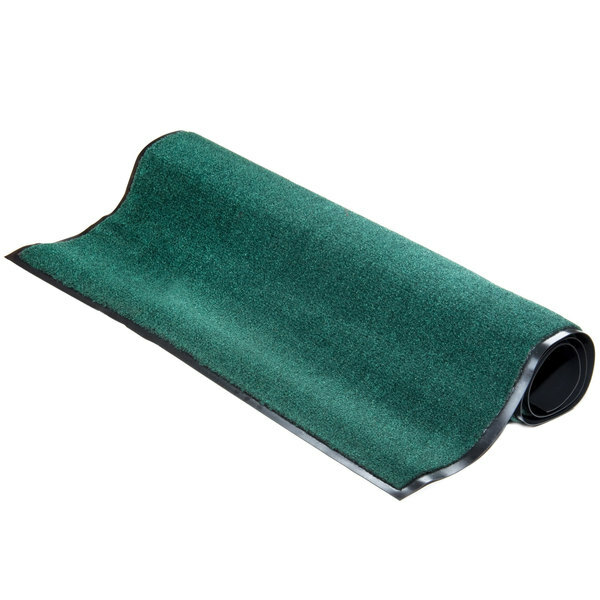 Made of durable carpet with rubber backing, this is great for entrances. Available in various colors too! 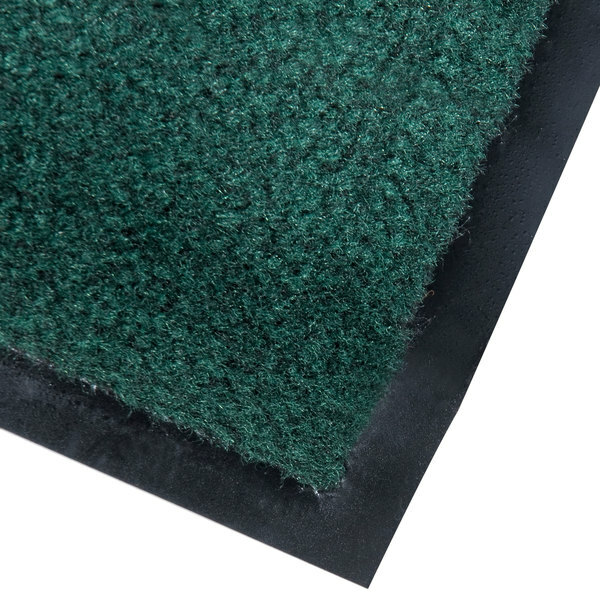 This 2x3 green carpet entrance floor mat is perfect for wiping your feet off at the door before entering a residence. I like the dark green color too! This map holds up to high traffic and is easy to keep clean. It does not slip when the floor is wet. Color holds up under stress. These mats are pretty standard. They do collect small pieces from customer/employee shoes, but are easy to vacuum (we use a Shark). They do not slide at all, which is great in our store! These mats appear to be a really good deal, sturdy and just as described. They haven't been "tested" for wear yet, but they look like they'll hold up just fine.